In some ways, I find the baseball offseason more intriguing than the grind of the regular season. It is fascinating to see who goes where, what team is loading up, what team selling off, and who ends up left out. The other reason the baseball offseason is so entertaining is a good portion is dominated by discussion and debate over the Hall of Fame elections. On Wednesday, January 18th, the Class of 2017 will be announced, and this year will once again be an interesting election to see. 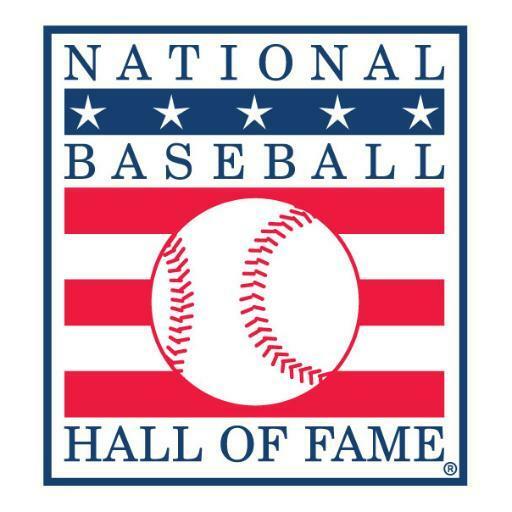 Due to several factors, the Hall of Fame ballot is over-saturated with players that deserve to be in the Hall but can't seem to get there. 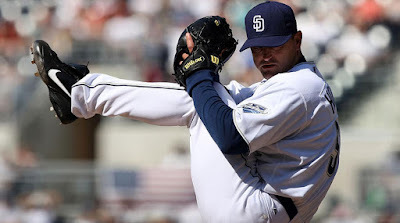 For players like Trevor Hoffman, Billy Wagner, and Edgar Martinez, it is because of the non-traditional positions they played. 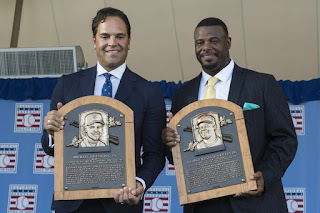 Although they were all-time greats, closer and designated hitter are considered "part-time players" to some and therefore not worthy of such a high honor. They are all also overshadowed by the best at their positions (Mariano Rivera, David Ortiz) who are still waiting their turn on the ballot. If those two were already in, these three would have a much easier time getting in. 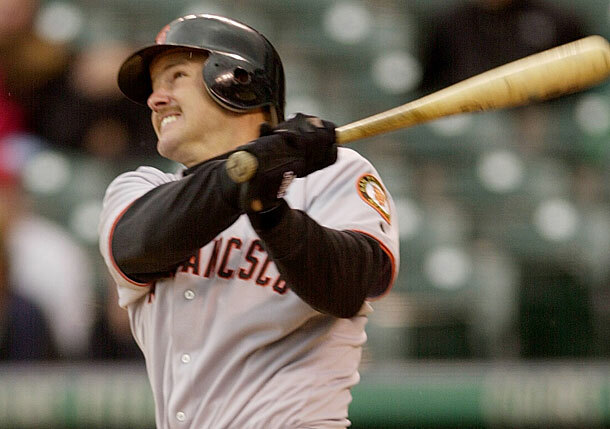 The more obvious factor keeping players on the ballot is the "Steroid Era." 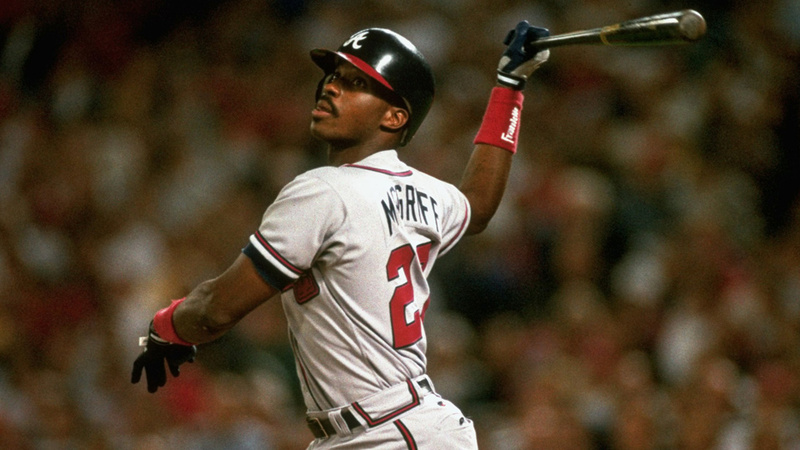 Should players connected to PED's, either by suspicion or positive test, be inducted in the Hall of Fame? Players like Mark McGwire and Rafael Palmeiro have already fallen off the ballot, even though their numbers alone are Hall of Fame worthy. Sammy Sosa, Roger Clemens, and Barry Bonds are still holding on, with some starting to trend up. Add to that first-timers like Ivan Rodriguez (named in Jose Canseco's whistle-blowing book) and Manny Ramirez (failed two PED tests), and you have controversy flooding this election. It seems like it is the only way America can have elections anymore: divisive and controversial. 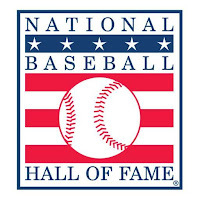 For those unfamiliar with the process, players must receive at least 75% of the votes from the Baseball Writers of America Association to get into the Hall. Players become eligible after they have been retired for 5 years, and they can stay on the ballot for up to 10 years (recently, this rule changed and there is one player still grandfathered in to the old rule of being eligible for 15 years). For a player to remain on the ballot for the next year, they must receive at least 5% of the votes. So there are quite a few players that are on this year's ballot that will not be on next year's. It's a new definition of a "one-and-done" player. However, it really is just an honor to have a career strong enough to be placed on the ballot in the first place. The trickiest part of the election process is that voters are allowed to vote for anywhere from 0-10 players. In the past, writers have cast a blank ballot in protest of the Steroid Era, and there has already been a blank ballot released this year for a similar reason. However, for most writers, the opposite problem holds true. Many wish they could vote for more. In looking at my ballot, I could easily make an argument for at least 20 players to be in the Hall. However, I have to narrow it down to the top 10. This has forced some players to leave the ballot long before they even have a chance to be considered. A perfect example was last year with Jim Edmonds. I felt Jim Edmonds deserved, if not a seat in the Hall, at least a few years of consideration. However, because of the glut of candidates, Edmonds got 2.5% of the vote and is no longer up for consideration. It is a tough system, but it is for the sport's highest honor as well. The system should be tough. So let's take a trip down memory lane and look at the 34 players on this year's ballot. I will start with the players not making my list, then give my honorable mentions. Following that will be my ballot ... you know, if I had a vote. Last player to get a 15th year on the ballot. With that total from last year, it will be a 15th and final year of disappointment. The Crime Dog deserves serious consideration for the Hall. However, with that total and only a few years left, it's not looking promising. He almost made it last year. He has a great shot of making it this year. I never thought of him as being that elite though. It's impressive for a long reliever / lefty specialist to make the ballot. That will be his only reward. One of the more consistent, underrated players for over a decade. Names like this make me stop and say, "Oh yeah, that guy!" It's one of my favorite parts of viewing the first years every year. When he was healthy, he was a dominant hitter. Unfortunately, I think that only happened two or three times. 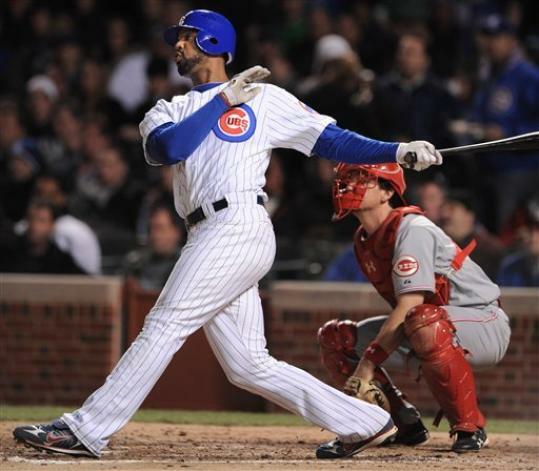 He was a World Series hero for one team and a cornerstone of a World Series run for another. He was a guy that always made his team better. 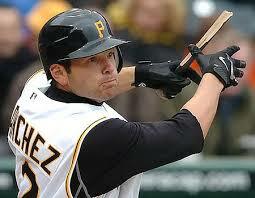 You might not remember him, but he was a 3-time All Star and won a Batting Title in 2006. He was just stuck on bad Pittsburgh Pirate teams. He was a cornerstone of one of the best franchises of the 2000's. 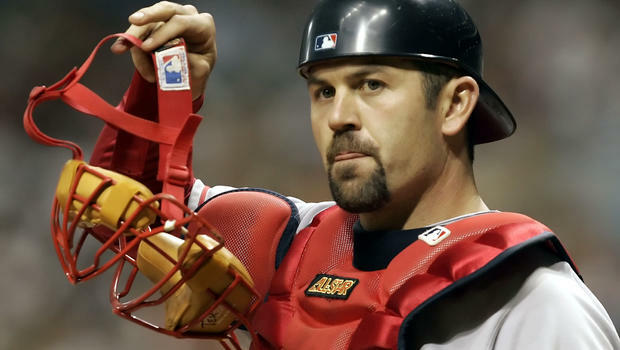 Being a catcher for a World Series winner cannot be overstated. I feel like his career was always overshadowed by never living up to his lofty potential. However, he did produce a very solid 14 year career. 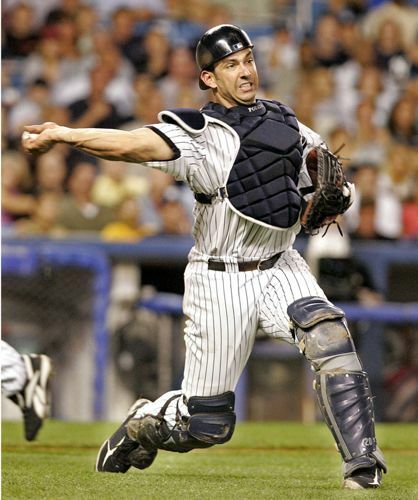 A similar argument could be made here as was made for Varitek, however Posada was also one of the better hitting catchers of his time as well. It will be interesting where his numbers debut at. 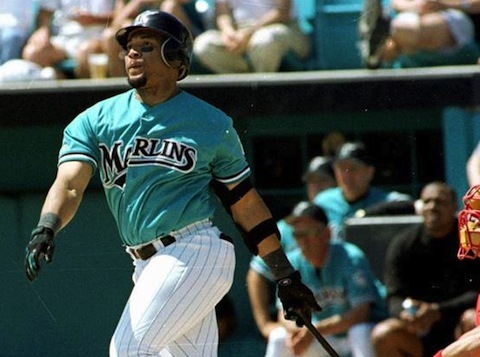 He quietly was a 6-time All Star and a dominant bat. If he hadn't had a few seasons in his prime cut short due to injury, we would be talking about his candidacy much more seriously. The best of his generation at his position. 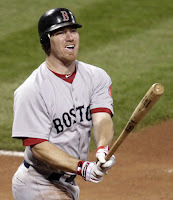 The only problem is I don't think pinch hitter is an accepted Hall of Fame position. To have a 19 year baseball career as a part-time player is something to truly celebrate. He had one or two great seasons in his career that gave him the reputation to have the longevity he achieved. Among first-timers, he ranks 4th in career WAR. His career will always be defined as "the one that replaced Griffey." Cabrera belongs in the same category as Carlos Guillen. Consistent, solid, quiet. He defined what it meant to be a "pure power hitter." 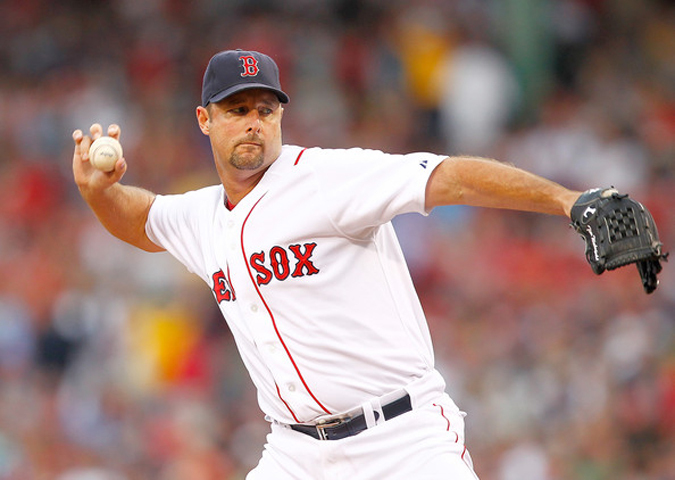 One of the best knuckleballers the game has seen. I'll give my argument for Steroid Era players later. The numbers are insane, and he deserves to be in for 1998 alone. I would like to vote for him, but the vote seems wasted at this point. I almost put him in my top 10. Few would say he was the best of his era, but there is something to be said for being really good for all of an 18 year career. Always overshadowed by his teammates, he put up some of the best numbers for any 2nd basemen in history. 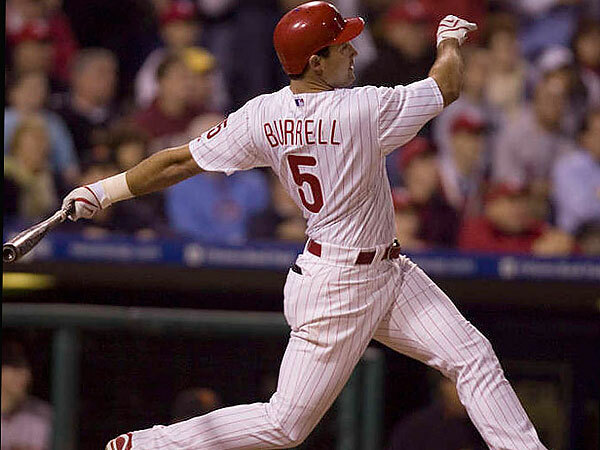 There once was a time where being in the 500 home run club made you a first ballot Hall of Famer. Now, it leaves you close to falling off the ballot altogether. 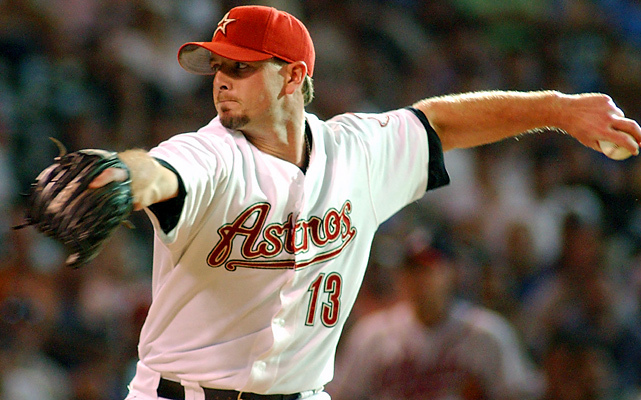 There were few closers more dominant than Billy Wagner. He may not have the numbers of some other all-timers, but his dominance in undeniable. We will start with the first year players and work our way up. 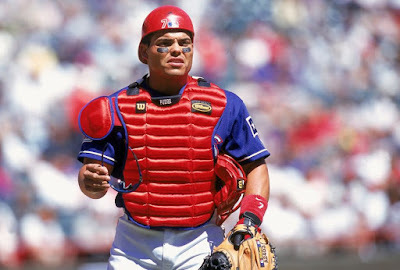 I never watched someone more dominant at their position than Pudge Rodriguez was behind the plate. He won 13 Gold Gloves, including a stretch of 10 in a row. The only thing keeping him from being an obvious choice is the allegations of PED's. Nothing was ever proven with Pudge, but Canseco has yet to be wrong about players he accused. 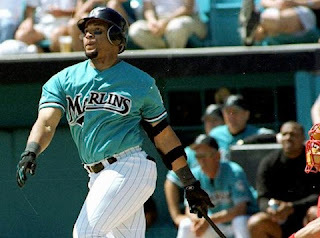 Pudge also donned an inflated body at one point that quickly deflated over one offseason. None of this changes the fact that he was probably the best defensive catcher the game has ever seen. Oh yeah, he also almost had 3000 hits too. Okay, let's talk about the steroid guys. I've already mentioned a couple, and there are a few more coming up. Baseball is a game of bending rules. Whether it is framing pitches, sliding spikes up, or throwing a spitball, baseball has always been a game where you see how much you can get away with. Baseball's past is filled with Hall of Famers that praised and lauded for bending the rules. I remember hearing a story that the final out of Gaylord Perry's 300th win was hard to get because the ball was so wet from the spitter Perry had just thrown. Moments like this are chalked up to, "Well, that's how the game was played." Well, for about a 20 year period, steroids were the newest way players were bending the rules. Until testing started in the mid-2000's, you could debate whether or not it was even against the rules of baseball! I wish the voters were stop trying to be the morality police and start to look at this era in the same light they look at cheating in other eras. "Well, that's just how the game was played." I don't care if you put a disclaimer on their plaque, but let them in if their play warrants it. 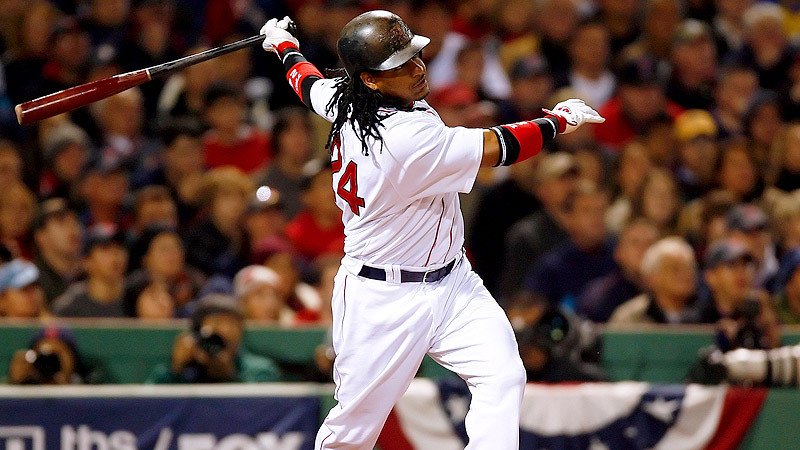 Manny Ramirez was the most natural right-handed hitter for a decade. 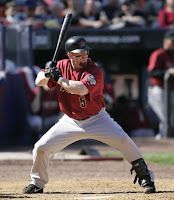 Even though he might be one of the worst defensive players of all time, his hitting still gave him a higher career WAR than Pudge Rodriguez. The controversy behind Manny is a little different than those suspected of PED's because Manny had two positive tests and two suspensions. I understand if you want to keep him out because of the positive tests. A positive test is different than alleged suspicion. The way I see it is if you trust the testing process, then the suspensions penalized his numbers. Are his numbers still Hall of Fame worthy after losing 150 games of his career. If yes, why not put him in with some fine print on his plaque saying he tested positive. It doesn't change the fact that he was one of the greats at the plate. What a freak! I enjoyed watching Vladimir Guerrero play more than almost anyone else over the last 20 years. What made him so fun was how unconventional he was. He was this tall, lanky outfielder with a cannon for an arm and one of the freest swingers in the modern era. As sabermetrics continued to grow in popularity, with walks and on base percentage meaning more and more, Vlad swung hard every time at any pitch that was close. He usually hit it a long way too. He was one of many players, and possibly the last, that was hidden in Montreal for a few years where few seemed to notice him. Once he made his way to Anaheim, everyone saw how special he was. You can't help but wonder how much damage playing on the hard surface in Montreal did to his body. It definitely seemed to lead to his body breaking down a little faster than some others. However, I think it's safe to say a player of his unique abilities belongs in the Hall. With Hoffman's numbers debuting as high as they did last year, it is only a matter of time before he enters the Hall of Fame, and it is well deserved. Hoffman is second only behind the great Mariano in career saves, and he was dominant and intimidating in the 9th inning in a way you don't expect. Instead of throwing 100 mph like almost every reliever these days, Hoffman sported one of the best change-ups the game has ever seen. The fact that he wasn't a first ballot Hall of Famer shows the bias some writers have against the position. First, I think he is punished by playing in San Diego, where few people pay attention. Second, the shadow of Mariano Rivera looms large, but keeping him out because Mariano was better is like saying Ken Griffey Jr. isn't a Hall of Famer because Willie Mays was better. Some say he wasn't dominant in the postseason. Well, it's a pretty small sample size you are dealing with, and also it doesn't take away from all his other accomplishments. Trevor Hoffman is a Hall of Famer. Steroids or not, Barry Bonds is one of the greatest hitters the game has ever seen. He was also one of the most unique talents we have seen. 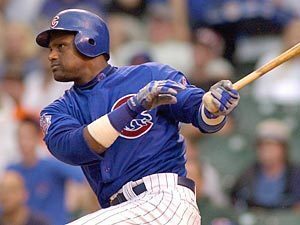 All anyone remembers is the inflated slugger at the end of his career, but people forget how good he was when he was younger. 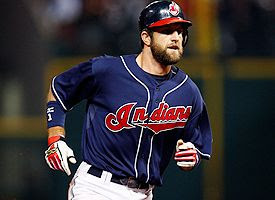 He is not only the only member of the 400-400 club (400 homers, 400 steals), but he kept going and joined the 500-500 club. 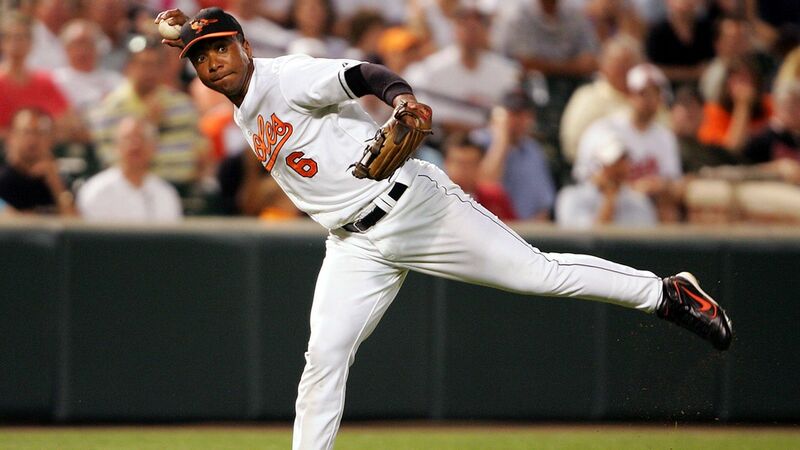 He was a 7 time MVP, but he was also an 8 time Gold Glover winner. He has more home runs than anyone the league has ever seen, but he also is the all-time leader in walks, sporting possibly the best batting eye in league history. We don't know 100% if he took steroids, but we are pretty sure. However, again, it was a part of the culture of the time, and he was the best long before he ever might have enhanced. This was the last player that made my ballot. 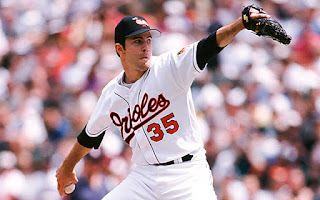 This spot was a toss-up between Schilling and Mike Mussina. Last year, I voted for both. The numbers of both are very similar, however the deciding factor was the eyeball test. 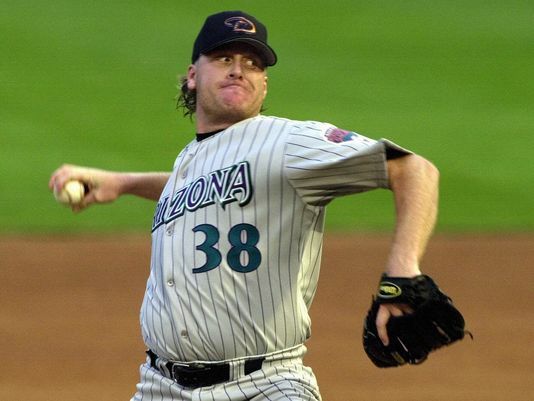 When you think of the best pitchers of the 90's and 2000's, Curt Schilling comes to mind long before Mussina. Like I said before, Mussina was good for a long time. Schilling was great, both in the regular season and especially in the postseason. Many writers have said they will refuse to vote for Schilling due to controversial statements made on Twitter, including a threat to "lynch" some reporters. Many expect Schilling's numbers to go down from last year, which doesn't happen often for guys that have hit the 50% threshold. A player's off-the-field comments, especially ones made 10 years after he stopped playing, should have no bearing on whether he is a Hall of Famer. Ty Cobb was a terrible human being, but he is in the Hall. The writers need to stop trying to make a statement and vote performance. 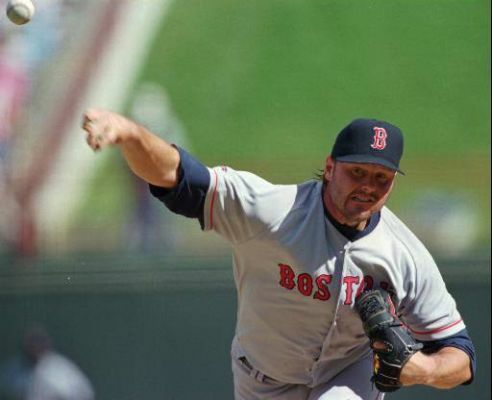 Roger Clemens and Barry Bonds seemed linked in the voting process. Both are considered all-time greats, but both are mired by steroid allegations. 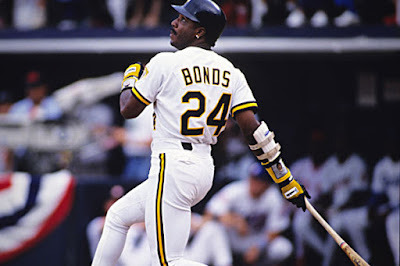 Just like Bonds, we are pretty sure Clemens did it, but there is no "beyond a reasonable doubt" proof. The two have very similar numbers, and we can expect that to stay the same. Many are predicting a boost in both their numbers when the numbers are officially released. This is for several reasons. 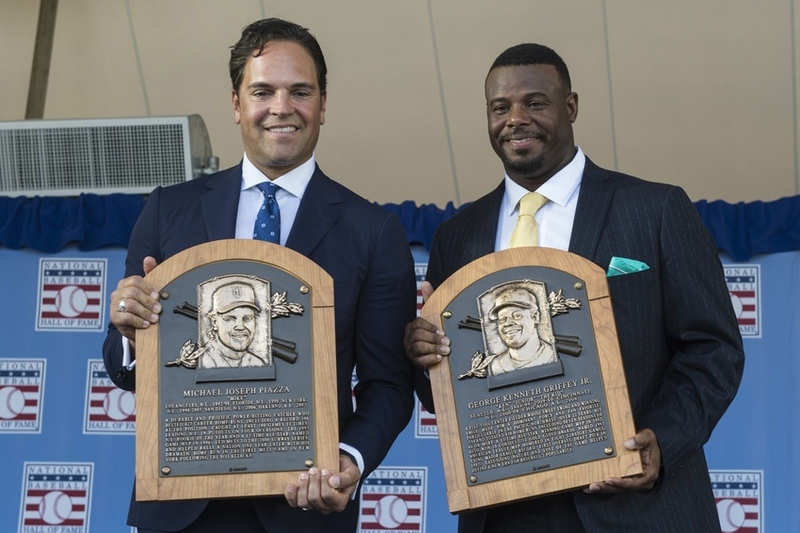 First, last year Mike Piazza was voted into the Hall of Fame. Many suspected he was a steroid user, but nothing was ever proven. He was the first one of these types of players to get in. Many feel that since he is in, it is now okay to vote for other players suspected of similar use. Second, retired commissioner Bud Selig is entering the Hall this year as well. It was under his reign that steroids reached their height. 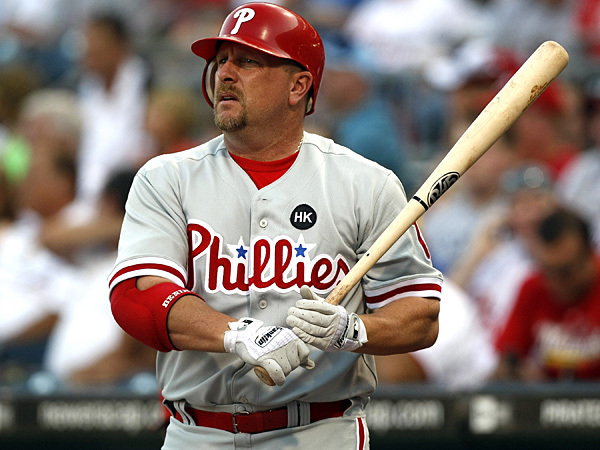 Many believe that inducting the commissioner of the Steroid Era allows for induction of Steroid Era players. No matter how you look at it, Bonds and Clemens are getting closer and closer. This one boggles my mind. 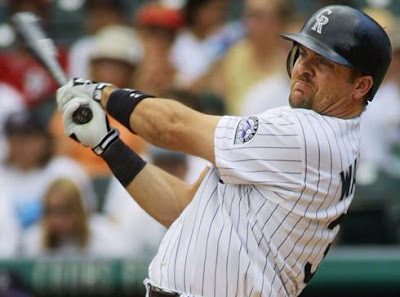 How is Larry Walker not a Hall of Famer? His WAR is 6th out of players on the ballot, and it is higher than any first-timers. His career OPS is 3rd on the ballot, only behind Bonds and Manny. He was a 5 time All Star, 7 time Gold Glove winner, and the NL MVP in 1997. His candidacy is about as strong as anyone could ask for. Why isn't he in? His numbers were inflated by playing in Colorado. That's the only reason. Ten of his 17 seasons were played in a city at high elevations which inflated his numbers. A players no one suspects as being tainted in any way by PED's is being penalized more than those that are because of what team he played for. With this being his 7th year on the ballot, and his percentage being so low, he probably won't get in. He is another example of someone who would have a greater chance if some of the steroid guys were off the ballot. Time is running out for Edgar, the man who set the standard for what a career DH should look like. However, with Griffey going in last year, and him helping campaign for Edgar during his acceptance speech, everyone expects his percentage to see a significant jump. 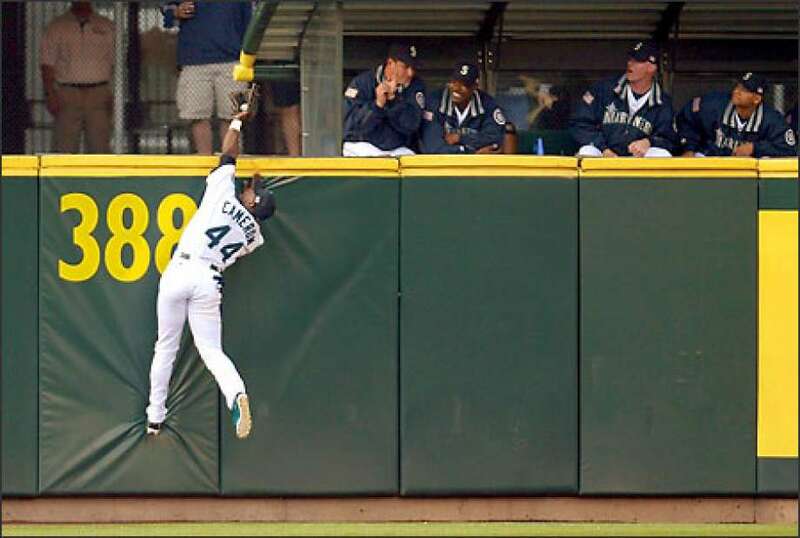 Griffey was the flash in Seattle during the 90's, but Edgar the foundation. 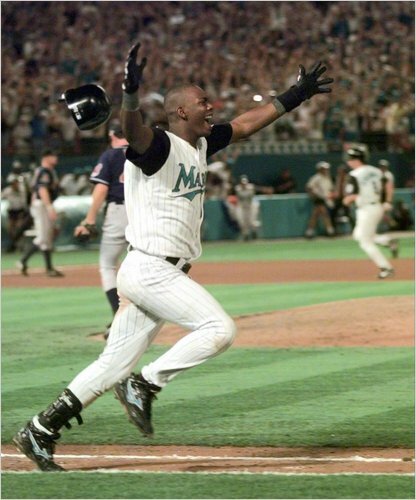 Think about Griffey's most iconic moment in his career. Some might see one of his spectacular catches, but most probably think of him rounding 3rd and scoring to beat the Yankees in the 1995 playoffs. Who hit the ball? Edgar. 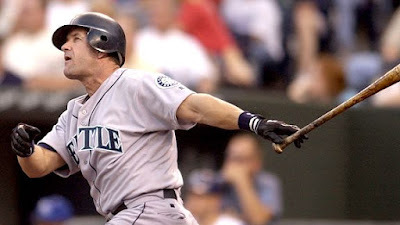 In fact, Griffey's most iconic moment is referenced by many as "The Edgar Double." He is an icon and a symbol in Seattle, and also he was one of the best right-handed hitters of his generation. He shouldn't be penalized because he did it so quietly, or because so many baseball purists still don't want to consider the DH a real baseball position. 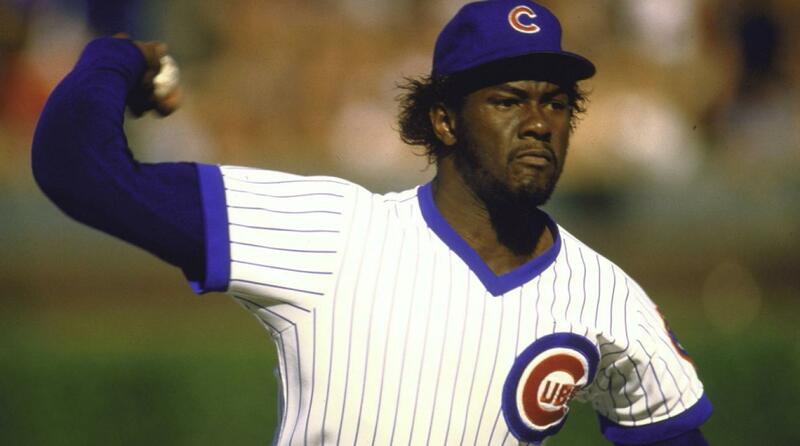 Lee Smith and Tim Raines are the only players left on the ballot that I can say were before my time. I remember watching them play vaguely, but it was at the end of their career after their legacies had already been cemented. 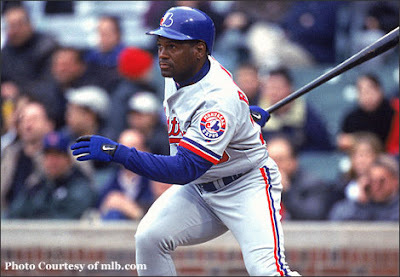 I think, because of this, I have not been voting for Tim Raines. However, with his number so close and him entering his last year on the ballot, there has been much discussion about how good Raines was. 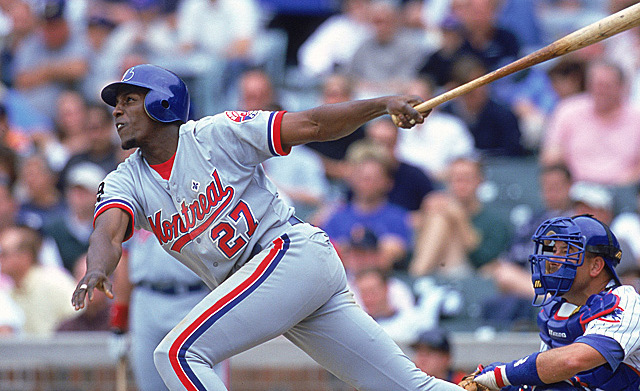 In some ways, it seems like Tim Raines is suffering from a similar problem Trevor Hoffman is suffering from. How can your candidacy be taken seriously when your peer was the all-time greatest at what you did? For Hoffman, it was Mariano Rivera. 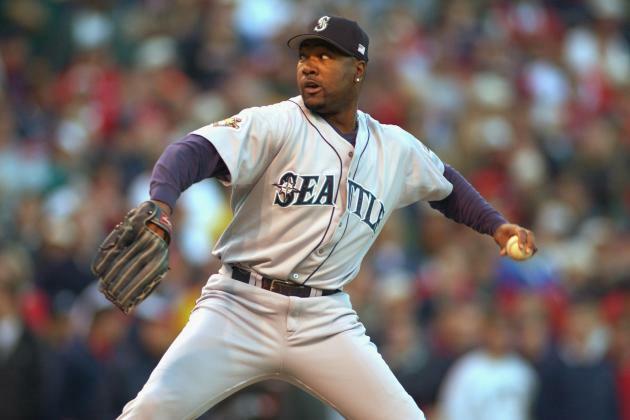 For Raines, it was Rickey Henderson. The reason it has taken Raines so long to get in is he is not Rickey. Well, no one will ever be Rickey. That doesn't change the fact that Raines had a Hall of Fame career. I hope the writers do the right thing and put him in.